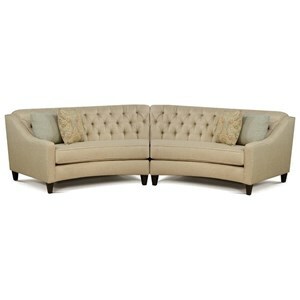 Create a chic and sophisticated look in your living room with the fine design of this 2 piece sectional. This sectional features sleek track arms, exposed wood feet and stylish tufted seats. 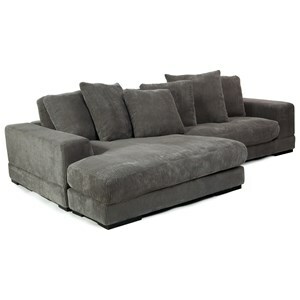 Sink into the loose fibre cushions and no-sag spring seats for a luxurious and relaxing feel. Update your living room with this modern leather sectional. 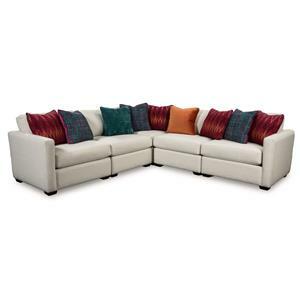 The 2161 2 Piece Contemporary Sectional by HTL at Fashion Furniture in the Fresno, Madera area. Product availability may vary. Contact us for the most current availability on this product. 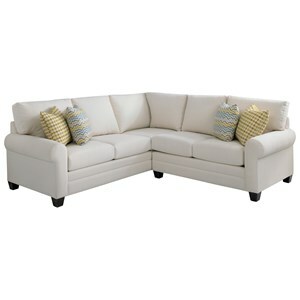 2161-1ERTC Right Corner Sofa 1 80" 37" 34"
2161-3EL Left Arm Sofa 1 76" 37" 34"
Leg or Skirt Wood legs in front and rear. Seat Support Seat: no sag spring. Back Rest: Rubber webbing. Padding & Ergonomics Seat Cushion: D/38S + D/25. Back Rest Cushion: Loose Fibre.